Commercial Bed Bug Heaters: How Much Does Eradication Cost? How Much Does Bed Bug Eradication Cost? Hold on, don’t jump up from your seat just yet – we don’t mean literally everywhere. 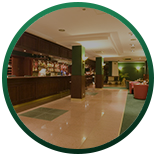 But if your business, whether it’s a hotel, apartment complex, or other hospitality facility, has experienced an infestation, you know that these pesky little pests do tend to hide in the nooks, crannies, and other spaces. 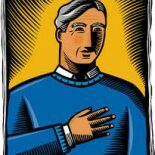 They create havoc, sometimes panic, and can even cause damage to your bottom line and reputation. However, everything you’ve ever heard about bed bug eradication and/or extermination is that it is expensive, time consuming, and not always 100 percent effective. Well, if you’re still hearing those things, then you’re not consulting with the right experts. While bed bug extermination has traditionally cost a pretty penny to businesses and homeowners alike, the advancements in modern technology, research, and methodology when it comes to eradication have made the process much more cost efficient and effective. Now, you need to understand that you have a few different options when it comes to bed bug eradication services. You can choose to do it yourself, or you can choose to hire a professional extermination company. Likewise, you can opt to try and get rid of bed bugs using the traditional chemical methods, or you can employ the services of commercial bed bug heaters. The path (or paths) that you choose will each have their own specific impact on the cost and effectiveness of your extermination job. So, let’s dive into just how much you might be looking at spending with each of those methods in order to help you come to a rational decision. The first step towards bed bug eradication at your hotel or other facility is to fully assess the level of infestation. You need to perform a thorough examination through all of your facility’s rooms, or at least the ones in the area where you know there is an infestation. How far does this thing spread? Once you know the extent of the infestation, you will know how many rooms need treatment, which will have an impact on the cost of your professional exterminator. 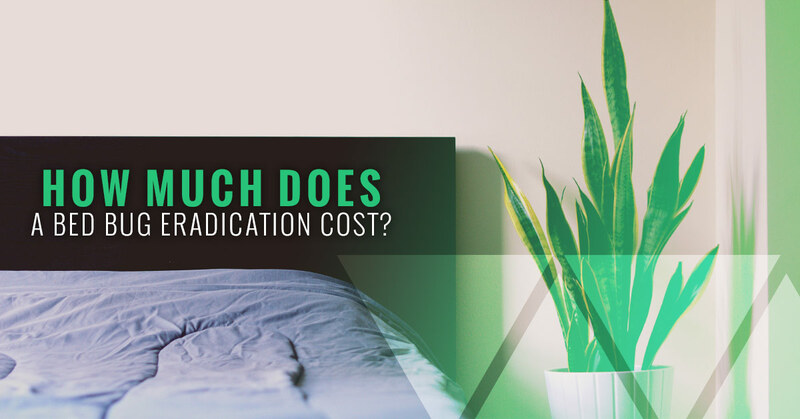 That’s because many charge by the room, sometimes between $300-400 per room, with extra charges depending on the size of the room, the size of the nest, and if there are multiple pieces of furniture that need to be treated with chemicals. With a professional exterminator using chemicals, you can also expect to pay for a consultation, ultimately costing you upwards of $1,500. Sounds complicated, right? Well, that’s not all. Research indicates that chemicals are becoming less and less effective when it comes to the extermination of bed bugs, often requiring two or more treatments in the same space, which also renders that particular room or area uninhabitable for upwards of a full week. So, you can double that $1,500 price tag and also do the math and estimate how much you will be losing out per night by not having that room available. When you think about it that way, hiring a professional to perform ineffective, sometimes dangerous, and time-consuming chemicals doesn’t seem like all that great of an option, does it? Fortunately, many extermination companies are understanding the negatives associated with chemicals for bed bug eradication, and they are starting to see the light when it comes to heat. Heat treatment has been proven to be the most effective, efficient, and fastest way to get rid of bed bugs – from the amount of time it takes (usually just one treatment, meaning your room is back up and running in just one day), to its overall impact on bed bugs (radiant heat is known to paralyze bed bugs before killing them in all stages and in all hiding spaces). More and more extermination companies are purchasing commercial bed bug heaters and adding this service to their repertoire, usually for as little as $300 to $600. That’s a fraction of the cost of chemical treatment, which is known to be less effective and much more time consuming. But, what if you want the effectiveness of bed bug heaters without having to suffer the embarrassment of having that noticeable exterminator truck outside your place of business? Well, there’s a solution for that as well. Unlike chemical treatments, electric bed bug heaters are safe, easy to operate, and don’t require any additional certifications. All you need to know is how to use one properly, utilizing the electricity on-site, and you are ready to become your facility’s own bed bug exterminator. When you get your own commercial bed bug heater for use at your facility, you can choose to do it yourself or train your staff and ensure that you have a certified pest-free operation. In as little as one treatment and one day after you discover an infestation, you can utilize the Colorado Tri-Flo System commercial bed bug heaters to get back up and running in no time. Buying your own electric bed bug heater is arguably the most cost-effective method, as it will pay for itself in as little as two or three uses. 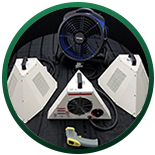 Check out our commercial bed bug heater packages and get yours today!